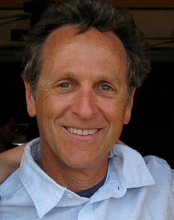 Our teacher, Howard Cohn, has led the Mission Dharma sitting group in San Francisco for over 30 years. He has practiced meditation since 1972, has led vipassana retreats since 1985, and is a senior teacher at Spirit Rock Meditation Center. Howie is known by his students for his kindheartedness and warm sense of humor. Howie has studied with many Asian and western teachers of several traditions, including Theravada, Zen, Dzogchen and Advaita Vedanta, and has been strongly influenced by contact with the Indian master H.W.L. Poonja. He has done postgraduate work in East/West Psychology and has a private counseling practice.